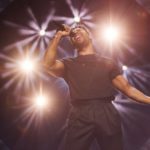 After 4 qualifying semi final heats and a second chance semi final round, the Swedish national selection of Melodifestivalen 2019 has reached its Grand Final show. The final show will take place at Friends Arena in Stockhlom and hosts of the show will be Marika Carlsson, Eric Saade, Kodjo Akolor and Sara Dawn Finer. In the previous qualifying semi finals we saw a total of 28 acts compete. 7 acts in each semi final , from which 2 qualified directly to the final and two more to the second chance round. 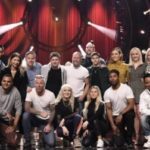 In the second chance round 8 acts took the stage performing in 4 Duels, the winner in votes from each duel filled qualified to the final show. Among the swedish hopefuls we see Jon Henrik Fjällgren (Melodifestivalen 2015, 2017), Lisa Ajax (Melodifestivalen 2016, 2017), Lina Hedlund (Melodifestivalen 2009, 2010 και 2014 as member of Alcazar, Melodifestivalen 2002 with her sister and solo in 2003), Anna Bergendahl (ESC representative in Eurovision 2010), Nano (Melodifestivalen 2017), Liamoo (Melodifestivalen 2017), John Lundvik (Melodifestivalen 2018), Wiktoria (Melodifestivalen 2016, 2017) and the group Arvingarna (ESC representative in Eurovision 1993). Guests in tonight’s show will be last year’s winner Benjamin Ingrosso,ο Felix Sandman (Melodifestivalen 2018 – 2nd place), the Swedish ESC 2008 act and ESC 1999 winner Charlotte Perrelli, and the Israeli ESC 2011 representative and winner of Eurovision 1998 Dana International.